Kacey Musgraves and Jennifer Hudson are gorgeous as they strike a pose on the carpet at the 2019 Vanity Fair Oscar Party at the Wallis Annenberg Center for the Performing Arts on Sunday (February 24) in Beverly Hills, Calif. 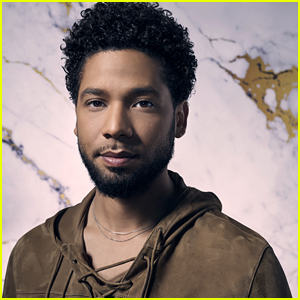 The 30-year-old Grammy-winning singer and the 37-year-old Oscar winner both changed out of their looks from the main show and into cool new outfits for the after party. Kacey and Jennifer were also joined at the after party by Miguel and his longtime love Nazanin Mandi and Chaka Khan. FYI: Kacey is wearing a Versace dress, a Tyler Ellis clutch, a Diamond Foundry ring, Dana Rebecca Designs earrings, and Aldo shoes. Jennifer is wearing Christopher Kane, Sophia Webster shoes and Harry Winston jewels. Miguel is wearing Dior Men. Chaka is wearing Jared Lehr jewelry. 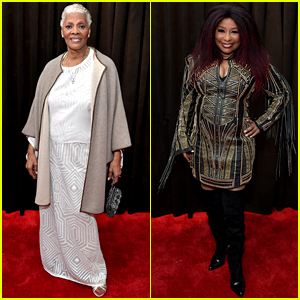 Dionne Warwick and Chaka Khan arrive at the 2019 Grammy Awards! The 78-year-old “Walk on By” singer and the 65-year-old “I Feel For You” crooner attended the event held on Sunday (February 10) at the Staples Center in Los Angeles. Dionne, wearing a white dress with a tan coat, was joined by son Damon Elliott. Chaka donned a black and gold dress with thigh-high black boots. Rashida Jones walks the red carpet with her dad Quincy Jones at the premiere of their documentary Quincy during the 2018 Toronto International Film Festival on Sunday (September 9) in Toronto, Canada. Rashida directed the documentary alongside Alan Hicks and it gives an intimate look at her legendary father’s life. 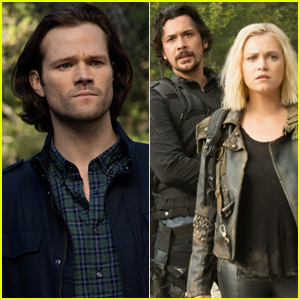 The movie will debut on Netflix on September 21. Also in attendance at the premiere were Mark Ronson, Chaka Khan, Petra Nemcova, and Jesse Williams. A trailer for the documentary was recently released and you can watch the clip below! Chaka Khan is paying tribute to Aretha Franklin. 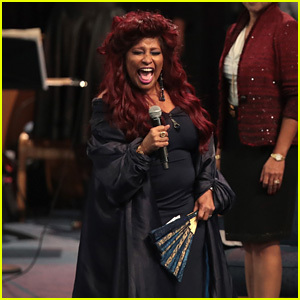 The 65-year-old superstar performed gospel classic “Goin’ Up Yonder” at the funeral service for the late Queen of Soul being held at Greater Grace Temple on Friday (August 31) in Detroit, Mich.
Chaka is one of many performers and speakers at the over six hour long ceremony, celebrating the life and legacy of the soul singer who sadly died earlier this month at the age of 76. Watch the live stream of Aretha‘s funeral right here. Cindy Crawford and Rande Gerber enjoy date night at the Tom Ford fashion show on Wednesday night (September 6) at Park Avenue Armory in New York City. The 51-year-old model looked super glam in a silver, sparkly gown as she attended the star-studded show during New York Fashion Week. Other stars that were spotted attending the show included Julianne Moore and husband Bart Freundlich, Karlie Kloss, Ansel Elgort, Russell Westbrook, Liev Schreiber, Cameron Dallas, Suki Waterhouse, Chaka Khan, Gina Gershon, and Doutzen Kroes. 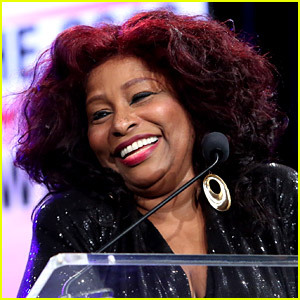 Chaka Khan has canceled several concerts and has checked into rehab to fight an addiction to prescription pain medication, her rep has confirmed. The 63-year-old singer has “voluntarily entered the program to get healthy and stay that way,” the rep told Modesto Bee. Chaka was scheduled to play a show at the Stanislaus County Fair on July 13, but the performance, along with the rest of her dates in July, have been canceled.